For Helios #10 the battle will rage into the next cycle where the first measurement will be the one that counts. Prepping those fields now may lead to a great payoff for when the cycle rolls over! Roughly mid way through the Septicycle towards the final 2 rounds of Helios and the battle rages on in 12 cities around the world. 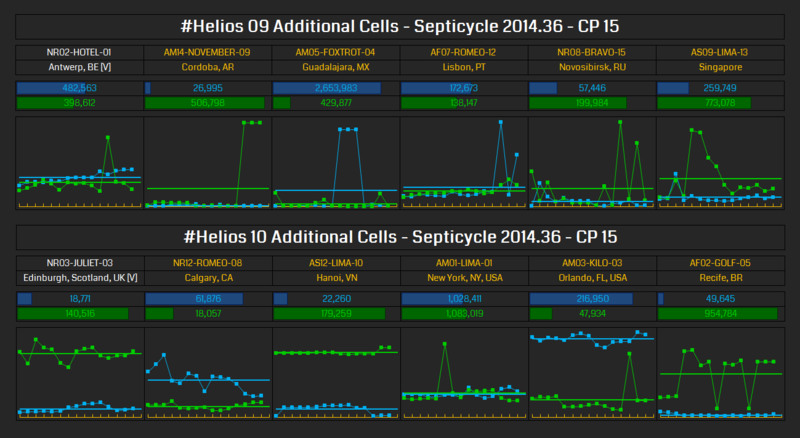 For Helios 09, the score is split with 3 cells for each side with Lisbon being the closest. For Helios 10, the Enlightened currently hold 4 of the 6 cities but New York is locked in a close battle with only about 60 k MU between the two sides.